Spouses obtaining a divorce in Washington are issued orders pertaining to spousal maintenance, child support, parenting plans and property distribution. With the exception of property distribution, most of the provisions of the divorce decree are modifiable on motion by one party. Modifications are generally based on a substantial change in circumstances and may require an extensive evidentiary hearing, if contested. Modifications can also take place upon the happening of an event, such as remarriage. Once referred to as alimony, spousal maintenance is the regular payment of financial support from one ex-spouse to the other, typically to maintain the standard of living the receiving spouse enjoyed during the marriage. Spousal maintenance can be modified in light of a substantial change in circumstances for either party. 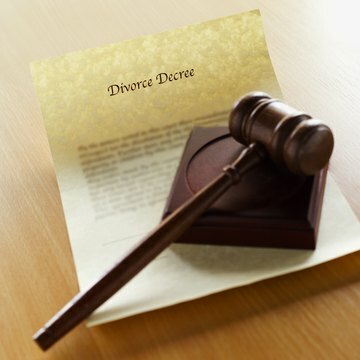 Most support decrees have a termination date or terminate when a specific event takes place, such as the death of either spouse, remarriage of the recipient spouse or entrance by recipient spouse into a new registered domestic relationship. The court will need evidence of substantial changes in the lives of either party before a modification of divorce decree provisions is issued. This may be a difficult standard to meet, as the court will not make changes for minor financial difficulties or surmountable issues between the parties. Substantial changes warranting a change in child or spousal support may include relocation, job loss or decrease in income, promotion or increase in income, change in child's age category, change in custody or unsuitable environment for minor children of the marriage. The Washington legislature has provided built-in child support reviews for purposes of modification. In addition to a motion for modification based on a substantial change in circumstances, which can occur at any time, the order may also be reviewed after one year of being issued if the order creates economic hardship on the parents or child, child is no longer in the age category the award was based upon, child is still in high school as of 18th birthday, or an automatic adjustment to the support provisions needs to be added. If more than 24 months have passed since the order was established or modified, the court may review the support amount, without a showing of substantial change, based on a change in the parents' incomes or Washington's child support schedule. These reviews are initiated by the filing of a motion for modification and completion of child support worksheets detailing each party's financial situation. Washington law requires the implementation of a parenting plan pursuant to any divorce involving minor children; the legislature no longer uses the terms custody or visitation when addressing placement of the child. The plan contains provisions for residential placement, allocation of parental decision-making and parental dispute resolution. Courts will modify a parenting plan if there has been a substantial change in circumstances and modification is both in the child's best interests and necessary to serve those interests. Courts typically retain the residential schedule established by the parenting plan unless the modification is agreed upon by the parents, child's residence has already been changed by parental agreement, child's current environment is detrimental to his physical, mental or emotional health, or the nonmoving parent has been found in contempt of court at least two times in the last three years for failure to comply with the parenting plan or been convicted of custodial interference.